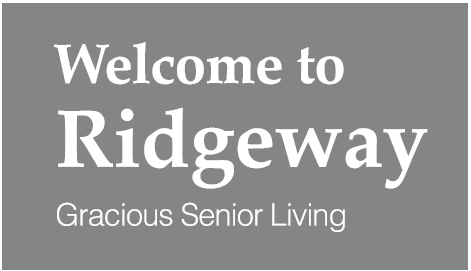 Our senior communities, Ridgeway on German, Ridgeway on 23rd and Reflections at Ridgeway offer the perfect choice when health and living concerns call for a supportive environment. We strive to keep residents active, healthy, and independent for as long as possible through an integrated wellness approach. 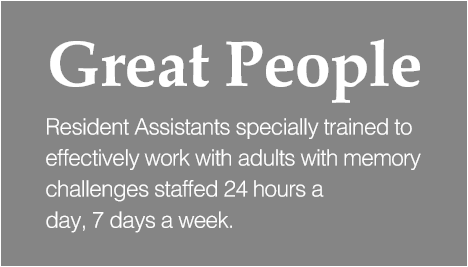 Our goal is to enrich and extend the quality of life for seniors in our communities. 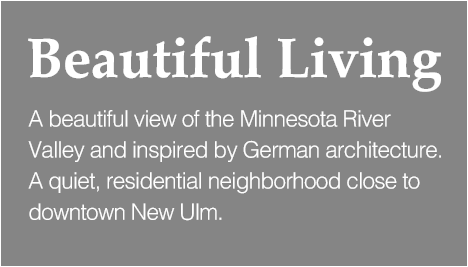 Located in historic and beautiful New Ulm, Minnesota, Ridgeway offers warm and charming residential settings that are just minutes from downtown. Ridgeway offers a broad spectrum of services to our residents, including wonderful activities to encourage socialization, personal care assistance, medication management, RN case management, and much more! Reflections at Ridgeway extends our continuum of care and provides services to individuals with moderate to late stages of Alzheimer’s and other forms of dementia. Ridgeway is an excellent place to be. I wish I had made the decision and moved sooner. I truly do feel like I’m becoming part of an extended family and my children are also thrilled and relieved, knowing I am being taken care of so well! Come visit one of our state-of-the-art facilities today!